From the author Dashboard, select Payouts. 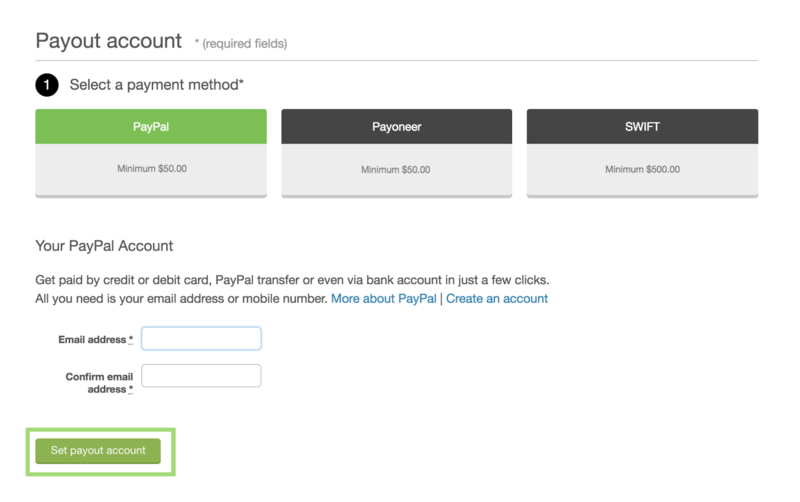 Choose your preferred payment method, enter the required details, and click Set payout account. Once set up, we will use this account for processing monthly payouts. You can change your payout account at any time, however, payout accounts changed after midnight on the last day of the month will not come into effect until the following months payout.